The most daunting task as a novice grower is probably choosing a cannabis strain for your grow. Googling “cannabis strains”, “seed shop”, “or “buy marijuana seeds” will just leave you reeling from the seemingly endless variety of seeds available. You may already be familiar with the basic sub-types of the cannabis plant; the warmth-loving, tall growing Cannabis Sativa, the bushier, cooler-climate adapted Cannabis Indica, and the wily, northern Cannabis Ruderalis. The cannabis seeds you have perused online are likely to be hybrids (in varying proportion), raised from Sativa, Indica, and Ruderalis plants. 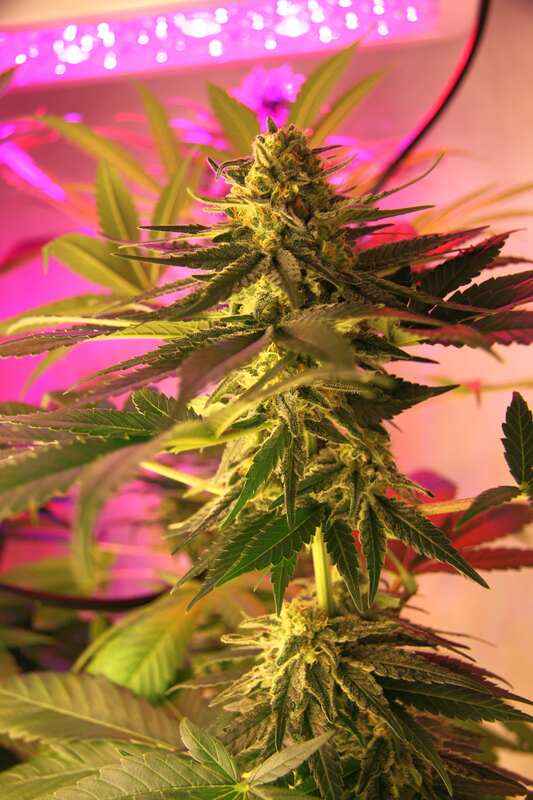 Reputable online shops such as Dutch Passion, Sensi Seeds, and Nirvana Seeds often provide you with information about the origin of the parent plants (if available) and provide a list of the characteristics you can expect from the plants that will grow from their seeds. The first thing you should ask yourself is, “Self, do you need a marijuana strain that provides a relaxing, physical-oriented “body stoned” feeling, or a more euphoric, uplifting, “head high”?” The former is best provided by an Indica-dominant cannabis strain, the latter by a Sativa-dominant variety. As you might expect, hybrids with both Indica and Sativa genetics provide a balance of “body” and “head high” effects when consumed. You must personally speak to a doctor about your medical marijuana goals, but generally speaking, Indica dominant cannabis strains provide relief from nausea, muscle spasms, pain, insomnia, cramps, and loss of appetite. Sativa strains are often prescribed for relief from depression, migraine headaches, and other nerve pain, and are often recommended when daytime use is required. The Sativa “high” is less likely to cause patients to become tired, although Sativas are more likely to cause paranoia and anxiety than Indica strains. For this reason, a hybrid containing – for example – 60% Sativa and 40% Indica may moderate the effects of a pure Sativa for users prone to anxiety. Again, I urge you to consult your doctor. Indoor/Outdoor Variety – If outdoor, which climate? This is a lot of information to digest. We’ll learn more about each of these characteristics in the next few posts. Thanks for visiting, and again – if you’d like to get started now, order our ebook “How To Grow Cannabis At Home: A Guide To Indoor Medical Marijuana Growing” here on Smashwords, or here for the Amazon Kindle. I’m not taking the roundabout route and giving you some free PDF such as many sites urge you to download (which is filled with links and promotional garbage). I am selling a very complete, professional, illustrated guide to everything you need to grow your own marijuana successfully at home. Incidentally, there is plenty of info on outdoor growing in our 120 page ebook.